Requesting Payments across Latin America. It’s easy with EBANX. You can also start simulating payments now! When you request a payment, your client will receive an email from EBANX/Your Store to generate the payment and instructions on how to pay it. 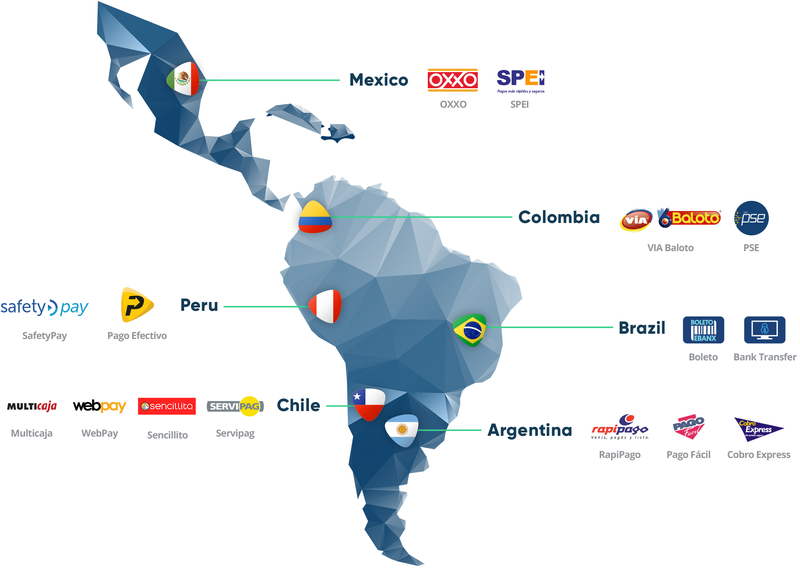 Learn more about payment trends in Brazil, Mexico, Colombia, Chile, Peru. Once you send a payment request, the email is valid for 48 hrs, in that period, if your client does not pay, EBANX will send a very friendly reminder email about the pending payment. You can track the status of a payment from your EBANX Dashboard. All your customers’ sensitive information is highly protected. EBANX is PCI-certified. In case you need to partially/fully refund a payment, you can do that directly from the EBANX Dashboard, and track the status of the refund. Our best-in-class customer support will handle it. EBANX has made selling in Latin America so simple. Almost as easy as the time you took to read this post.